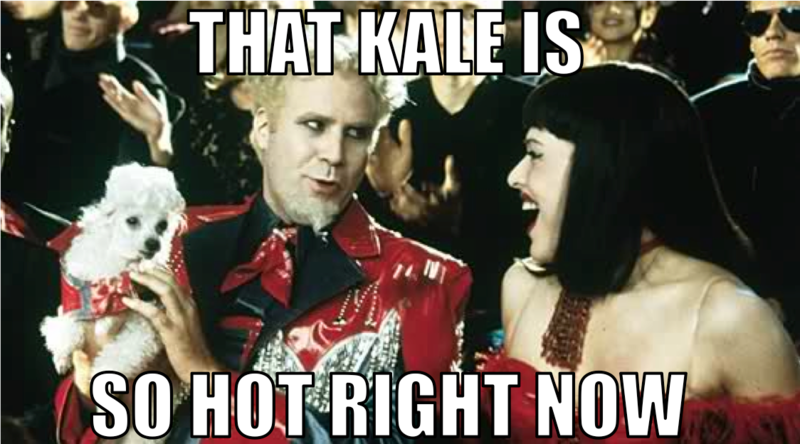 There are 3 grams of protein in 1 cup of chopped kale. When I ripped up a bunch of kale, removed the stems, and packed it as tightly into a 1 cup container, I came up with 7 cups. That’s 21 grams of high quality protein right there. If you want to get the most out of your kale, you have to STEAM it. Lightly. visit my other blog CookingBuddha.com for deliciously healthy crowdsourced recipes. Steaming kale unlocks more cholesterol-lowering health benefits than eating it raw or stir-frying. I also recommend adding a pat of organic pasture butter for better flavor, bonus omega-3s and beta carotene, and to aid in nutrient absorption. 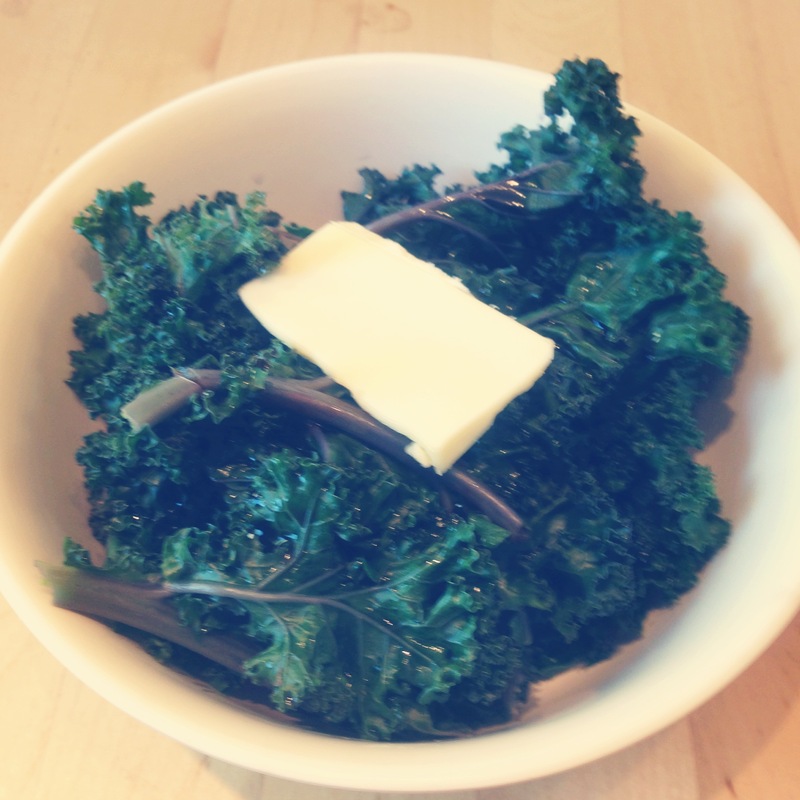 One of my go-to side dishes is steamed kale seasoned with soy sauce, salt & pepper, and a little pasture butter. It only takes about 3 minutes and goes great with a bowl of organic brown rice and some broiled mackerel. You can find my steamed kale recipe post on www.CookingBuddha.com HERE. This is by far the easiest meal that I like to make. Steam the kale for a few minutes. DONE. The beautiful thing here is that EVERY INGREDIENT is good for you and is helping your body to heal back to it’s equilibrium/optimal state. For me there’s no greater feeling than to eat something delicious and to know that it’s also working to make me healthier, stronger, better-looking, and feel amazing. 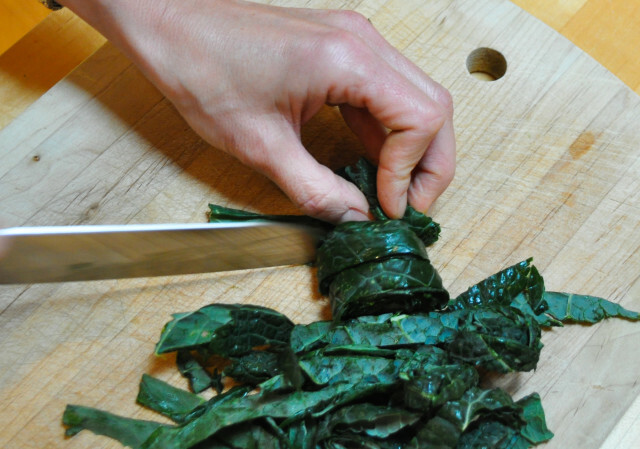 Research shows that cutting kale into thin slices breaks down cell walls and enhances the activation of myrosinase, an enzyme that slowly converts some plant nutrients into their active forms. To get the most concentrated phytonutrients, cut the kale, then let it sit for 5-10 minutes before eating or cooking to let the enzyme do its thing. Add lemon juice. The vitamin C will increase myrosinase activity. Although baking isn’t a good way to get the most nutrients out of kale, it does taste amazing, and is much cheaper to make than to buy at Whole Foods or Trader Joe’s. Here’s a link to make a crispy, savory batch of my parmesan and dill kale chip recipe. 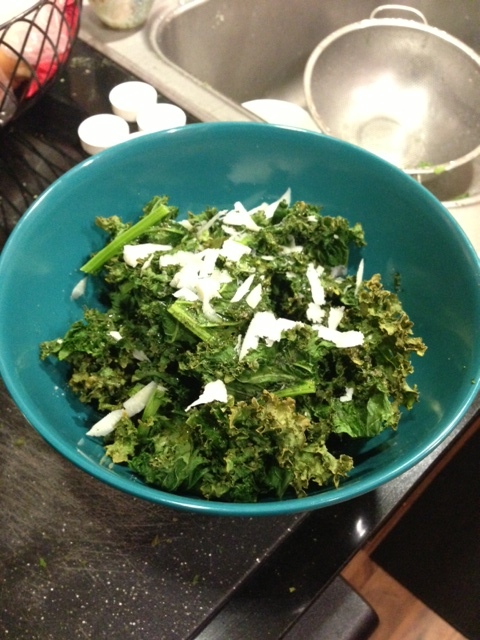 Put the cleaned kale leaves through a salad spinner for even crispier results. Try this out on the next GameDay and blow peoples’ minds. Kale has a low moisture content, so it’ll easily get burned before getting cooked if thrown in a pan. Boiling kale increases its water absorption, making it soggy and lose flavor. Boiling kale will also zap out most of its nutrients. So unless you plan on drinking boiled kale water, stick with steaming or keeping it raw. I split up my daily bunch of kale like this: 3/4 juiced + 1/4 steamed. Make sure to get the best of both worlds. Look at the kale. 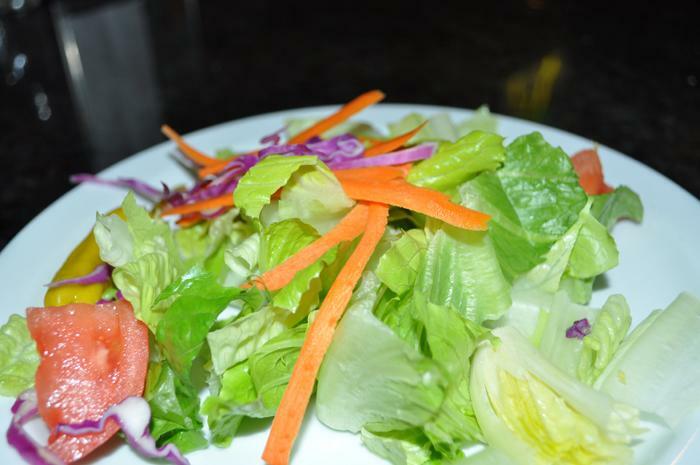 Make sure it has a rich, dark green color throughout its leaves. Be careful to not be intimidated by its sexiness. Yes, it’s beautiful and everything you could ever want in a vegetable, but don’t let that throw you off your health game. You are worthy of kale. Remember that kale only has a 5-day shelf life before it starts getting old and wrinkly. It’s biological clock is ticking. Yours isn’t. The ball is in your court. 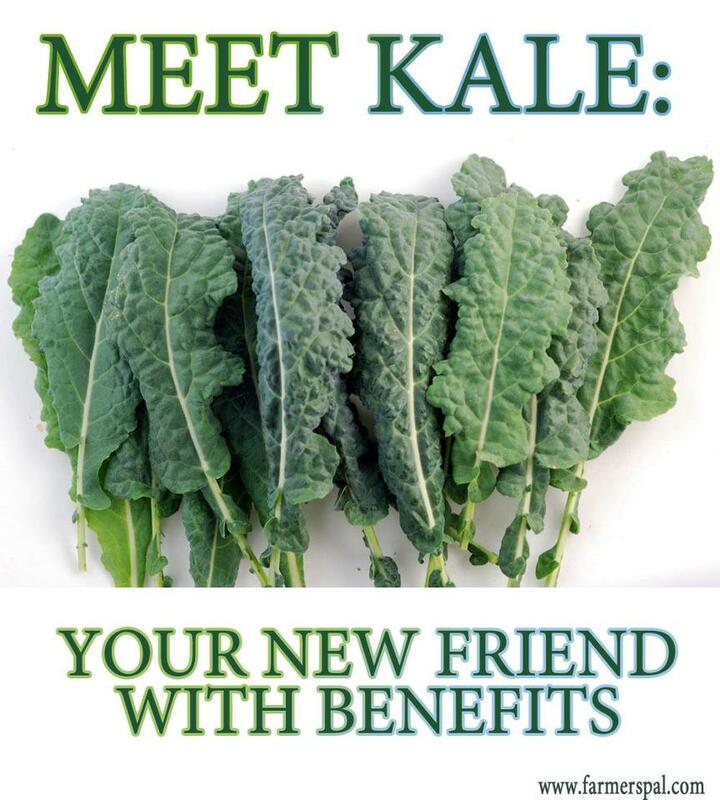 Kale needs you. 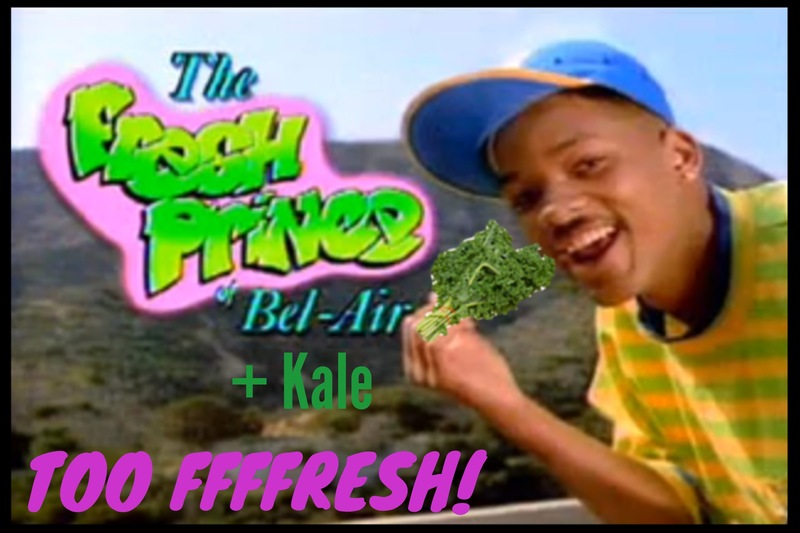 Touch the kale. Give a slight squeeze. Are the edges of the leaves extra firm and crunchy feeling? Good. Choose the tightest, healthiest-looking one. 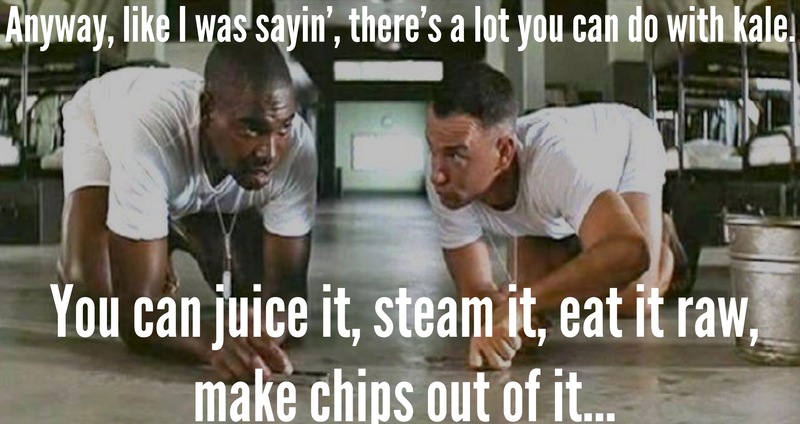 Actually, that’s a general rule for all produce. And life. Kale bunches come in slightly varying sizes even within the same store, so dig around for the largest one, and come out a big winner! For maximum nutritional benefit, eat your kale within 3 days. To much freshness for one picture. The market rate is $2/bunch for organic green kale (dinosaur kale tends to be about $0.25 more expensive). Buying from a local produce store instead of Whole Foods may save you $0.20 or so. For the best quality, you’ll have to go down to the farmer’s market. Buying local is always king. I try to go buy produce twice a week if possible. Farmer’s market on Saturdays and the grocery store on Wednesdays. This habit keeps my fridge is always stocked with the freshest, crunchiest kale. 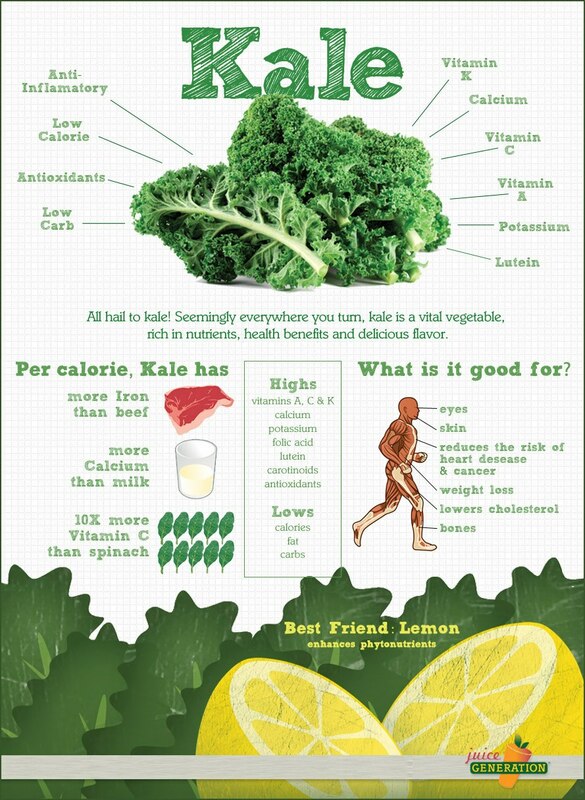 Read more on the health benefits of kale in my original post here.